Price: $439.00 (regularly $539.00) 19% Off! 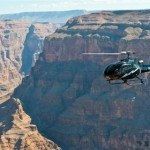 If the Grand Celebration is the crowning jewel in our helicopter tour collection, then there’s simply no surpassing our Sunset Grand Celebration with Las Vegas Strip tour. Passengers take flight in an EcoStar EC-130 helicopter, considered the quietest and most environmentally friendly helicopter in the world. The spacious aircraft features stadium seating and 180-degree unobstructed view through expansive, made-for-flightseeing windows. Guests will fly over awe-inspiring, world-renowned attractions and wonders of the world including Hoover Dam, Lake Mead, Grand Canyon and the Skywalk. This tour lands at the bottom of the canyon on a private plateau overlooking the Colorado River. 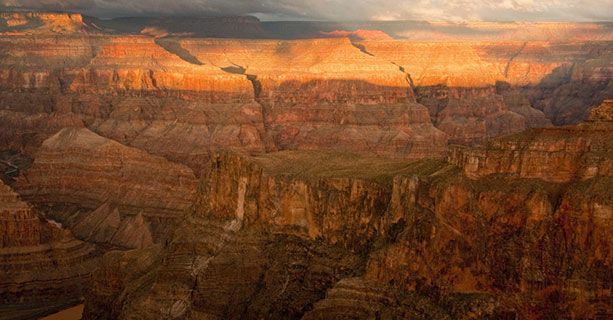 While there, you’ll enjoy Champagne and refreshments while surrounded by the majestic grandeur of the Grand Canyon. For a perfectly unforgettable conclusion, this version of our most popular tour is timed to culminate with a departure from the canyon into the golden light of the setting sun and then views of the Las Vegas strip at twilight!